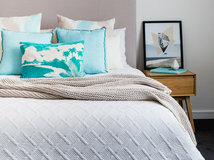 Houzz Australia Contributor and Sydney-based interior designer and decorator extraordinaire! 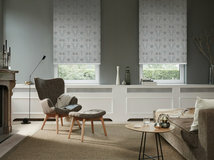 A die hard 'chromophile' and creator of beautiful interiors. 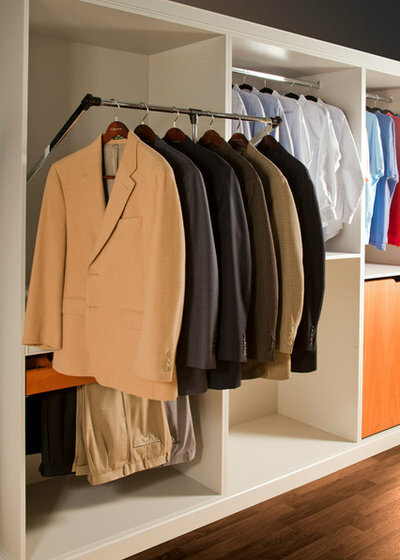 Our wardrobes are used numerous times a day. 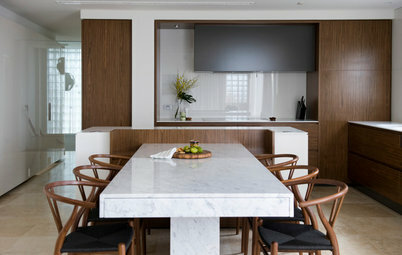 Yet when it comes to walk-in robes, we don’t always measure up and plan their layout with the same attention to detail as we would for, say, the kitchen or bathroom. 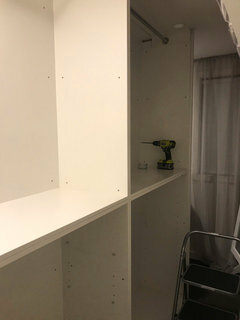 I advise clients to take into account some standard measurements and the mix of shelving, drawers and hanging space they’d like, and together with a wardrobe specialist, we plan the whole unit to achieve maximum functionality and storage capacity. So, where to start? 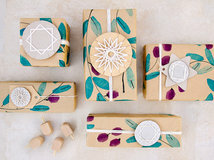 The following guidelines will certainly help you plan and commission your design. The depth of a wardrobe varies but it is commonly about 60-65 centimetres, including doors. This allows enough room for clothes on hangers, including bulky coats, to fit comfortably inside. If you choose to have doors on your wardrobe, consider whether hinged or sliding doors are better suited and if you have room for either. Tip: Consider including glass doors. These will stop the dust settling on any clothes while letting you see and access things easily. A mirrored backboard also helps reflect light, and helps makes the space seem larger. 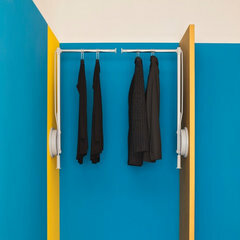 Dresses and long coats need long hanging space, while shirts, skirts and trousers need shorter hanging space. 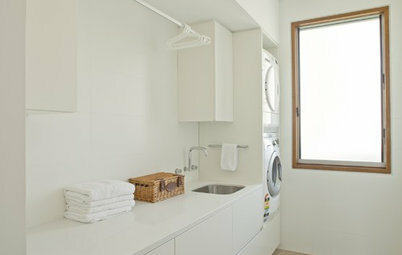 A good starting point is to allow a height of 94 centimetres for short hanging space and 188 centimetres for long. 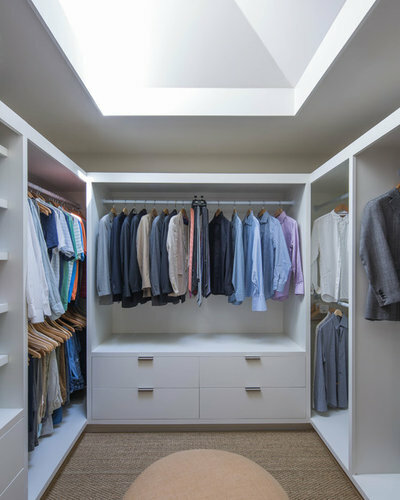 The proportion of how much ‘long’ versus ‘short’ space needed will vary, but a minimum of a quarter of all hanging space devoted to long clothing is a good start. And don’t forget some things are best kept folded and not hung, such as woollen jumpers. This helps cut down on the amount of hanging space needed. 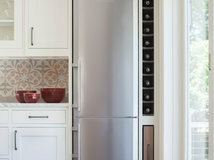 Tip: Talk to your designer about internal options on how to gain extra space, including height. 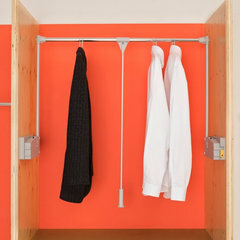 If your clothes are hung up high you can add pull-down hanging rods, as seen here, which allow you to hang things higher and therefore gain more space below. A bank of drawers is often built to an overall height of 80 centimetres, which allows for three drawers at 25 centimetres high each and a kickboard of 5 centimetres, with a depth of 45 centimetres. 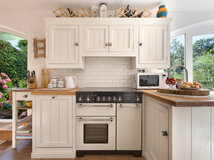 Of course, with custom joinery you can tweak these measurements to suit your storage needs. 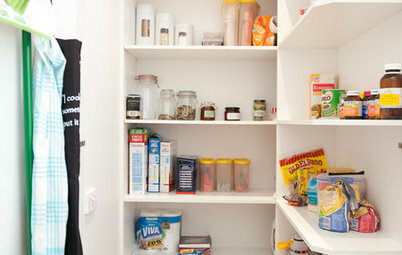 Shelving is commonly 45 centimetres deep and often includes pegs to allow you to adjust the height of the shelf. Tip: Try to keep some consistency of lines throughout the space. 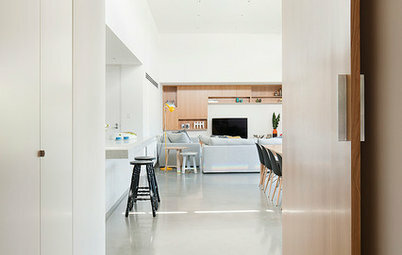 This ensures the space is visually pleasing – the repetition of alternate yellow drawer fronts and shelving is a good example of how to achieve this. 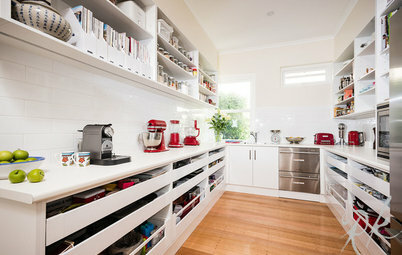 Try to maximise all the space you have by adding storage up to the ceiling. 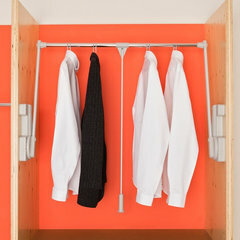 Use higher shelving and pigeon holes to store off-season clothing, travelling items or spare linen. 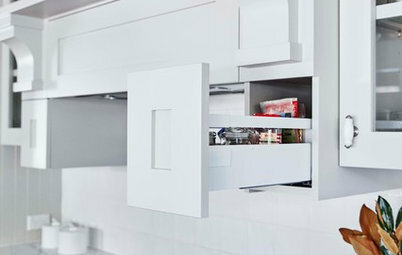 If your ceilings are 250 centimetres high or more, this can literally mean an extra cubic metre of storage space – which is nothing to sniff at. Tip: Keep things that are stored up top labelled and in a matching group of dust-proof containers, such as the striped boxes seen here. This is both visually attractive and very practical. 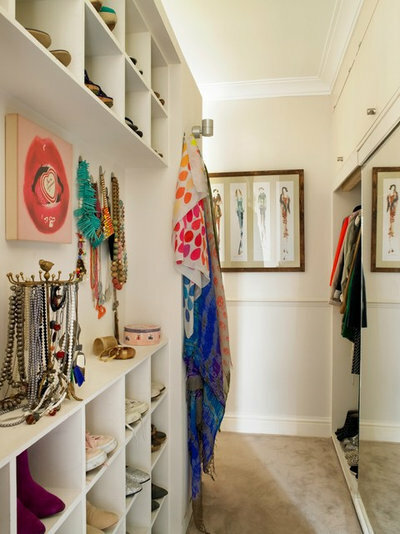 Any fashionista will tell you how important considered shoe storage is, to keep them looking good and allow ease of access. When constructing shelving for shoes, a good starting point is to allow a 22-26 centimetre height for heels and flats, and the same for most men’s shoes; roughly double that for boots. Bear in mind that you’ll need to allow for even more space if you have boots that don’t have pliant shafts. If you’re going to incorporate pigeon holes for individual pairs, you’ll need 22-30 centimetres in width (depending on shoe size), a depth of at least 35 centimetres for women’s shoes and a tad more for men. 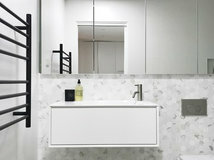 You might also be interested in angled shoe racks – ask your robe specialist or interior designer for options. 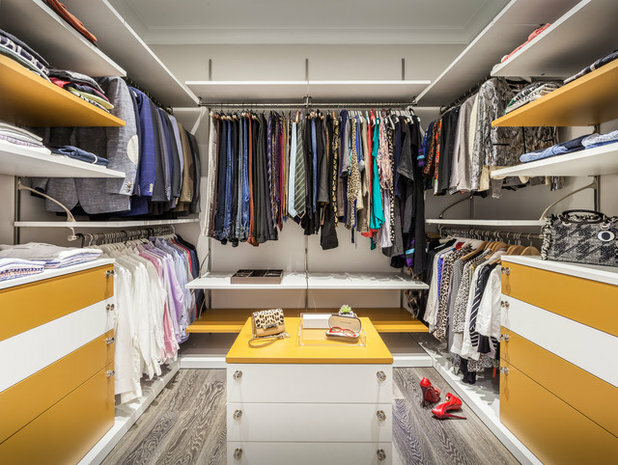 Having a place for everything (and keeping everything in its place) helps you to keep on top of what you have, making planning what to wear each day easier. Merchandising, or displaying bags and accessories in a similar way to high-end shops, is sure to put a smile on your face every time you walk into your robe area. If you decide on this kind of look, don’t forget to allow space for being able to store and style your favourite pieces beautifully. A series of smaller pigeon holes for ties or belts is a neat way of storing and displaying otherwise tricky items. 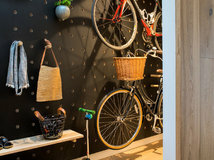 Also leave an open bench space for displaying or keeping awkward items, such as hats or unusual jewellery. Whether from natural or artificial sources, you’ll need plenty of lighting in your walk-in robe. A skylight that can be opened and closed off is a great way to light up the space, but if that’s impossible to install, keep to warm-white down lights. Consider adding a gorgeous pendant light if you have the space as it ups the glam stakes enormously. Speak to your manufacturer about installing LED lighting above hanging rods or shelves as it really does help you to see everything easily. As for mirrors, you’ll need at least one that is full length to check yourself out from top to toe, and possibly additional smaller mirrors for when you need to get close up to fix a tie or scarf. If you have a make-up station in the room, add a mirror over a dressing table and surround it with large filament globes for extra clarity. 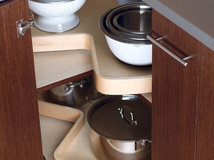 Clear-fronted doors and drawers not only help you find things easily, they also look really smart. 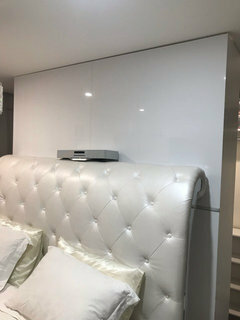 Glass shelves for accessories look great too, and allow light to stream into these areas. Make sure you keep a bank of drawers or at least one cupboard with a solid door as you may want to keep some things, such as fragile vintage clothing, out of the light and stored in a dark cool place. If you decide to add doors to keep your robe looking ordered, or to protect clothes from dust, there are lots of options available. 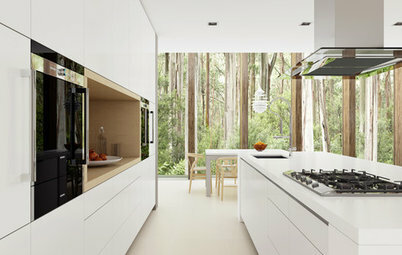 Try timber veneer finishes, polyurethane in almost any colour, or frosted glass. Mirrored doors will make a walk-in robe look bigger and are super practical too. 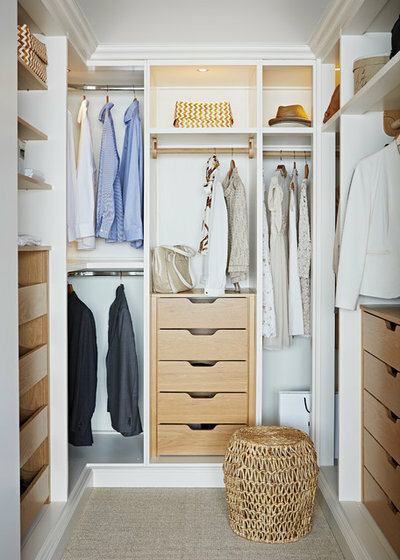 What are your tips for a well-designed wardrobe? Share them in the Comments below. To banish smell from shoes - good old Shannon Lush (you'll find her books on cleaning in any bookshop) again suggests putting a piece of chalk in every shoe box (I use the $2 clear plastic ones) which keeps moisture at bay. She does give other suggestions for really smelly things like boys' sneakers. I'd suggest in open wardrobes using clothing bags for suits and good dresses or even the smaller ones which just fit over the shoulders. 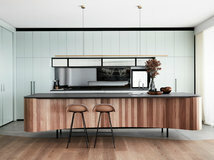 For NZ-based Houzzers that like the look of that pull down wardrobe rail and haven't seem them in New Zealand, we'd like you to know that Fit are the NZ distributors of Ambos, a range of quality wardrobe fittings designed and made in Italy. The Ambos range includes several wardrobe lift models. These are fantastic for making use of high space that would otherwise be wasted because it's so hard to reach. Ideal for storing out of season clothing or for specialist items that you don't use regularly. 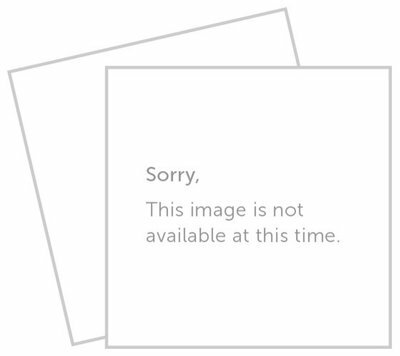 Some images below. 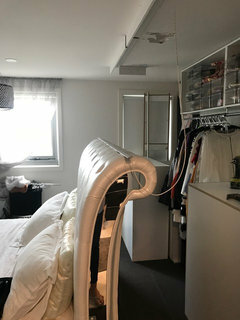 Check our our Ambos Project on Houzz here or check out Ambos wardrobe lifts on our website here.